With love, romance and his recent twentieth wedding anniversary serving as his inspiration, Brian Culbertson crafted thirteen new songs that will be released as Colors of Love on Valentine’s Day. An award-winning multi-instrumentalist, songwriter and producer, Culbertson is known for his distinct brand of genre-crossing contemporary jazz, R&B and funk that will seduce your senses as he brings Colors of Love to life at The Ridgefield Playhouse in a vivid, multi-media theatrical production on Tuesday April 3rd at 8pm, part of the Moffly Media Evenings of Art, Wine & Jazz Series. Join us in the lobby at 7:15pm for an Italian wine tasting by Pera Wines and an art exhibit! Make it a great night out, visit 850 Degrees Wood Fired Restaurant (424 R. Main Street ~ Ridgefield) for dinner before the show and enjoy a complimentary draft beer with purchase of an entree when you show your ticket! Mining the urban sounds of musically-rich Chicago, Culbertson began his musical studies on piano at age eight and quickly picked up several other instruments by the time he was twelve, including drums, trombone, bass and euphonium. Inspired by the iconic R&B-jazz-pop artists of the 1970s like Earth, Wind & Fire, Tower of Power, Chicago, David Sanborn and others, Culbertson started composing original music for his seventh grade piano recital and hasn’t stopped since, amassing 30 Billboard No. 1 singles (and counting!) and a deep catalogue of 18 albums, most of which have topped the Billboard contemporary jazz charts. Having worked and performed with countless industry all-stars such as Michael McDonald, Chris Botti, Ledisi, Barry Manilow, Herb Alpert, Natalie Cole, Maurice White (EWF), Chuck Brown and Bootsy Collins just to name a few, Culbertson has won numerous awards and accolades along with nominations from the NAACP Image Awards and Soul Train Awards. In 2012, he founded the Napa Valley Jazz Getaway, a flourishing wine, music and lifestyle experience for which he also serves as artistic director. 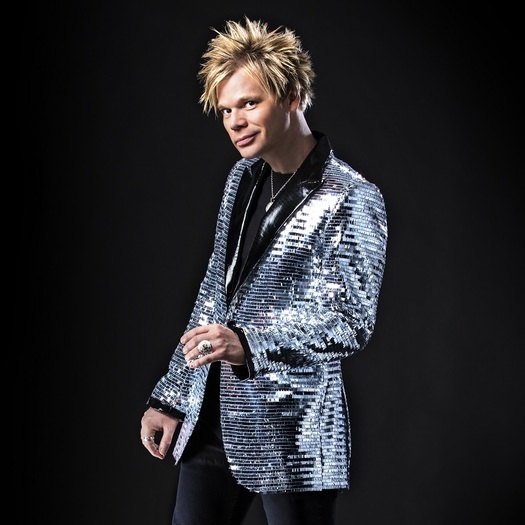 Don’t miss your chance to see Brian Culbertson’s stellar creative force in action as he delivers his latest to the stage at The Ridgefield Playhouse on April 3rd. For tickets ($45), call or visit the box office, 203-438-5795 or go online at ridgefieldplayhouse.org. The Ridgefield Playhouse is a non-profit performing arts center located at 80 East Ridge, parallel to Main Street, Ridgefield, CT.